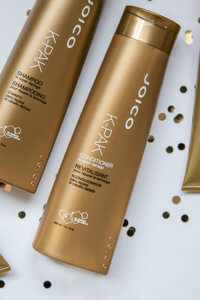 When hair needs a detox and you want a gentle-yet-effective formula that will jump in and purify without stripping away health and luster, K-PAK Clarifying Shampoo is pure gold. This unique cleanser dives deep to remove impurities caused by exposure to chlorine, minerals, and hard water, yet still manages to leave behind moisture, shine, and a smooth slip for wet-combing. Knowing just what to take out and what to leave behind, K-PAK Clarifying Shampoo is a powerful prep and refresh tool, even on the finest, most delicate hair. I have always used Joico products, but I stopped using this product a while ago (joico products are not cheap), and my hair hasn’t been the same. I went back to it and I noticed the difference after the first wash. I won’t let it go again. I would give it ten stars if I could. Timing is everything—especially when you’re looking to whisk away unwanted build-up. K-PAK Clarifying Shampoo makes each minute count. Directions: Wet hair thoroughly (a full soak delivers best results); apply and lather, leaving product on for up to five minutes for optimal clarifying results. Rinse and follow with K-PAK Conditioner. We balance the powerful cleansing properties in this clarifying formula with innovative ingredients that shield and protect hair from the inside out. 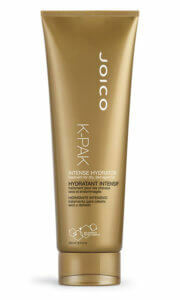 Our exclusive blend of smart, hair-identical keratins that help repair hair from the inside out. These optimized proteins actively “seek out” and lock in on damaged sites, providing around-the-clock hair repair and protection. I used to have awesome hair, that was curly/wavy. It was healthy, happy hair that took color well, handled highlights and heat without major damage and just did what I wanted it to do for the most part. Then we moved to a house with old pipes and town water. Over the past 12 years my hair has just progressively gotten worse. It is thinning (possibly genetic, possibly part of the crappy water issue), I have some breakage, it’s dry, crunchy and frizzy. I use good hair products ALWAYS! My mom was a hairdresser until 2 years ago, so I’ve always been a hair snob. Even with the good products and good care, my hair has been terrible. Then it occurred to me that my hair issues are likely due to buildup from our terrible water. DUH!!! So, enter this shampoo. OMG the difference is unbelievable. I’ve used it a few times over the past week and half and will now probably stick to once a week but wow. My hair is soft again! It’s amazing. 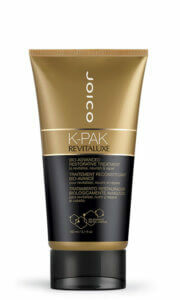 I forgot just how much I liked Joico products. I love this shampoo, been using it for four moths. I used to have a lot of build up and sometimes even dandruff. Also my hair was majorly damaged. All my hair had was full of split ends. This shampoo repaired my hair completely. I have no breakage. Its completely healthy. My hair stylist has told me i have really healthy hair. I also have received complements from others. It litteraly made my hair stick back together. I also use the conditioner, and reconstructor once a week. A 32 oz bottle has lasted 4 months so far i use it every day. But you dont need to mich of it. A little goes a long way! Will use for ever! Thats the plan!